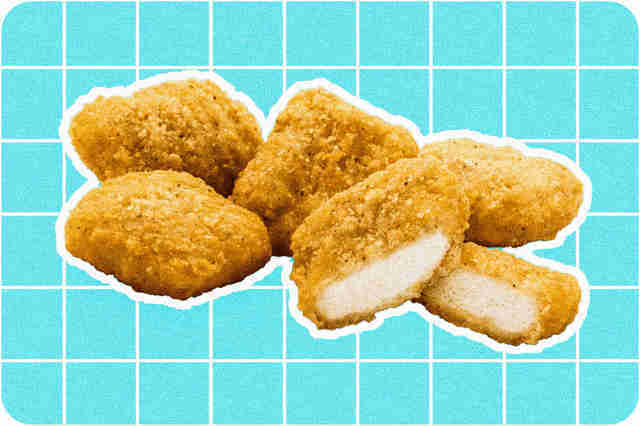 True story: fast food isn’t healthy. It’s just not. 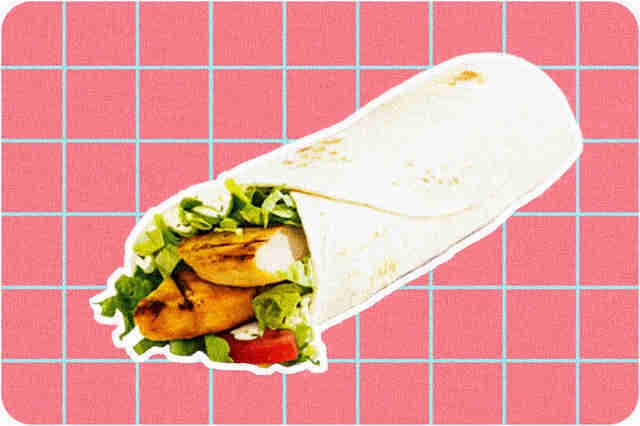 But it is convenient, inexpensive, and tasty, so if you fall into the almost 50% of Americans who eat at fast-food restaurants at least once a week, at least you know you’re in good company. 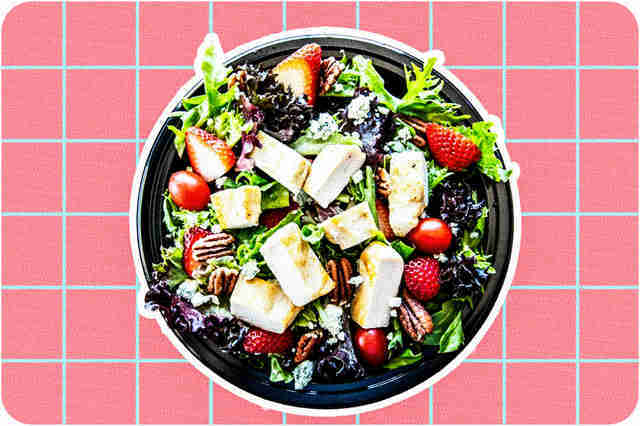 And given that fast-food consumption is practically woven into the fabric of our society, you don’t need to give up your drive-thru habit completely -- or pretend you’ll just order a salad (who are you kidding, really?) -- you just need to make healthier choices. And by “healthier,” we mean avoiding those 2,000 calorie fat-bombs like triple-decker cheeseburgers and jumbo-sized fries. 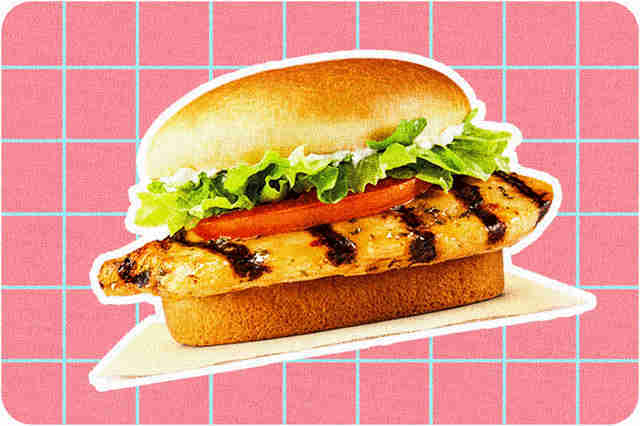 BK’s grilled chicken sandwich may not make your mouth water the way a Whopper does, but by ordering the white-meat sandwich you’re saving 130 calories and 15 grams of fat, while scoring an extra 8 grams of protein -- that’s a pretty good deal. Tack on a value-sized order of onion rings to round out the meal, and you’re practically guaranteed to be full until dinner. Stay away from Arby’s go-to sandwiches and opt instead for the chain’s Chopped Farmhouse Salad with roast turkey and light dressing. You’ll get a good dose of protein and some added fiber, all for about 250 calories. Adding two potato cakes to your order is guaranteed to make your meal more filling, and the combo will only cost you about 500 calories. 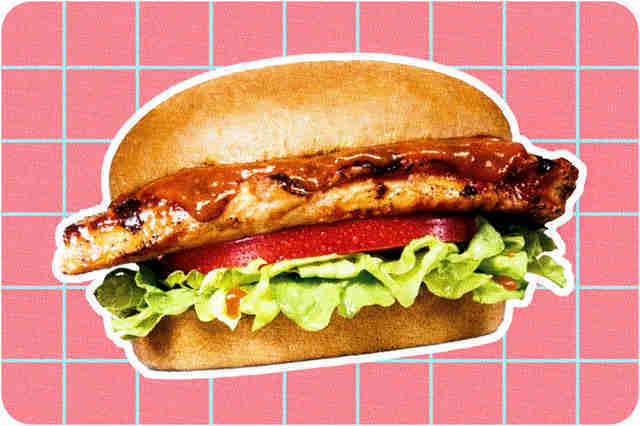 Carl’s Jr. and Hardee’s have a few different chicken sandwiches, but the all-natural charbroiled BBQ version is the only one that comes in under 400 calories and 20-plus grams of fat. And by adding a garden salad on the side, you take advantage of a bump in fiber and protein without overdoing the calories. 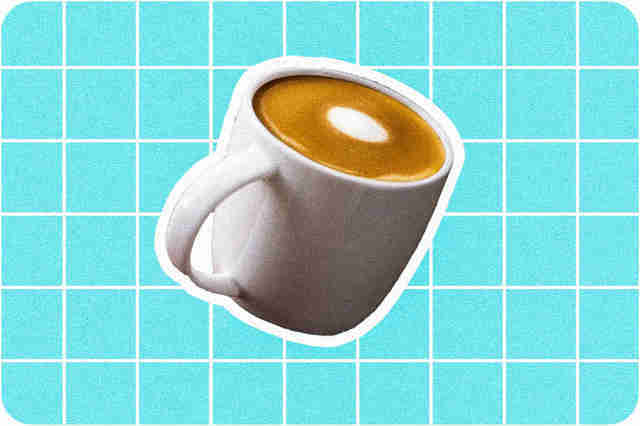 Be honest -- the real reason you’re showing up to Starbucks for lunch is because you need your caffeine fix. Unfortunately, most of the popular lattes, mochas, and frappuccinos are loaded with sugars and fats that can easily add up to a calorie-bomb of a drink order. Instead of drinking your lunch, grab the very tasty Quinoa & Chicken Protein Bowl to fill you up (lots of fiber and protein to do the job), then opt for a Grande Flat White drink order on the side. Just make sure you ask for almond milk to help tone down the fat and calorie count. In total, you’re looking at a meal that’s right around 520 calories, 23 grams of fat, 30 grams of protein, and 11 grams of fiber. Those are numbers you can feel good about. 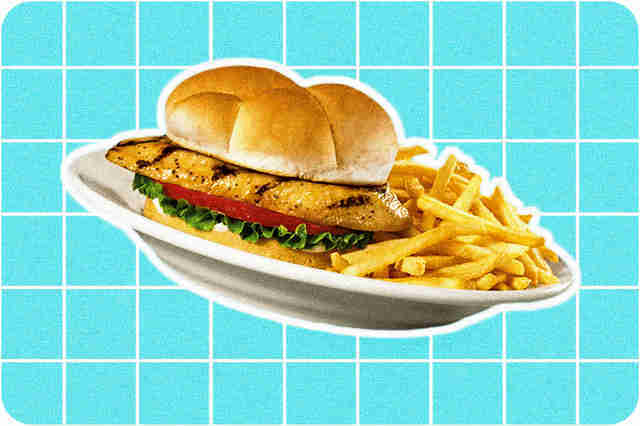 There are one or two items on Sonic’s menu that have fewer calories than the grilled chicken wrap, but they also feature less fiber, less protein, and an unfortunate dollop of trans fatty acids (you know, the fats you really want to stay away from), so you’re better off eating a few more calories if you’re getting better nutrition overall. 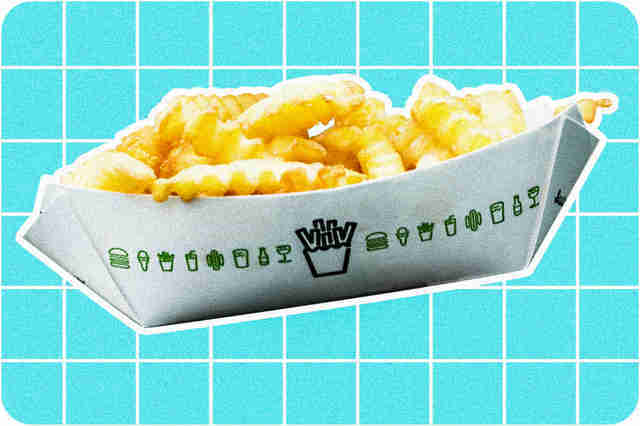 And while the small order of natural-cut fries isn’t going to win a major health prize, at least they offer 3 grams of fiber and less fat than the onion rings or tots. Hands down, the combination of grilled teriyaki chicken and super greens (a mix of broccoli, kale, and cabbage) from Panda Express is your best possible menu option. The chicken provides an amazing 36 grams of protein, while the veggies deliver 5 grams of fiber. All-in-all, you have a meal for under 400 calories that’s practically guaranteed to keep you full. If you feel like splurging, add a vegetable spring roll to the side -- it’ll add an additional 190 calories and 8 grams of fat to your totals, but you’ll still end up consuming fewer than 600 calories in a sitting. 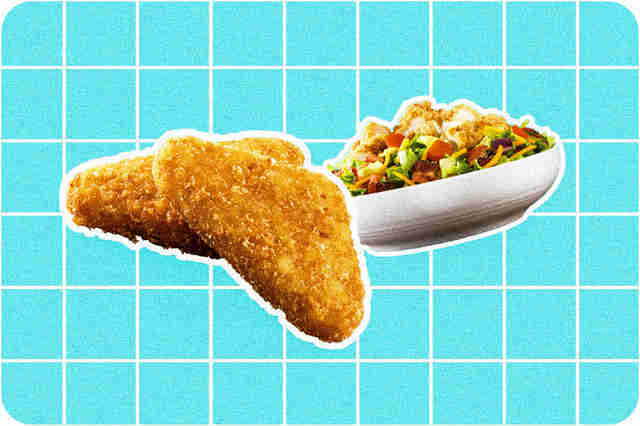 If you think chicken is always the healthiest option, this time you’re wrong. 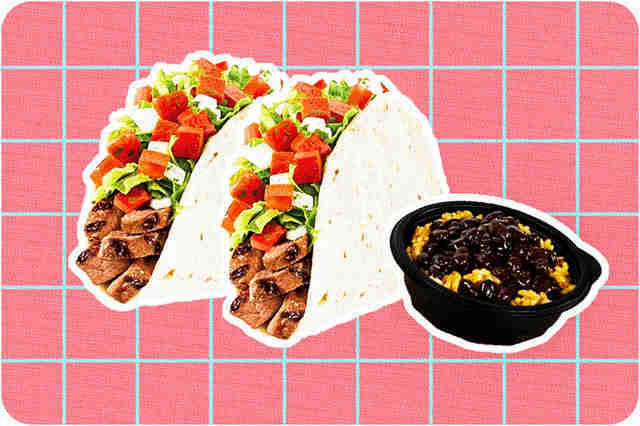 The steak version of the fresco soft tacos on Taco Bell's menu have fewer calories, less fat, saturated fat, and more total protein than the chicken variety. And when you pair them with a serving of black beans and rice, you get another 6 grams of protein and a hefty dose of fiber, too. Combined, you end up with a filling meal, all for under 500 calories. 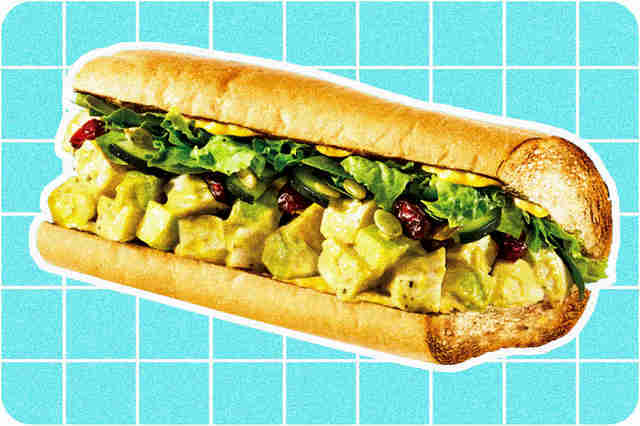 Many of Quiznos’ 4-inch sandwiches are reasonably good for you in terms of calories, fat, and protein, but the reason the Apple Harvest chicken sandwich is your best bet is because it has significantly less sodium than almost anything on Quiznos’ menu. At 690 grams, it still puts a pretty hefty dent in your recommended daily allotment (you should try to consume less than 2,300 grams per day), but it beats the 1,000+ grams that most of their 4-inch subs provide. And when you pair the sandwich with a small chili (which, sadly adds an extra 550 grams of sodium to your total), you end up with a meal under 600 calories that provides 27 grams of protein and 9 grams fiber. 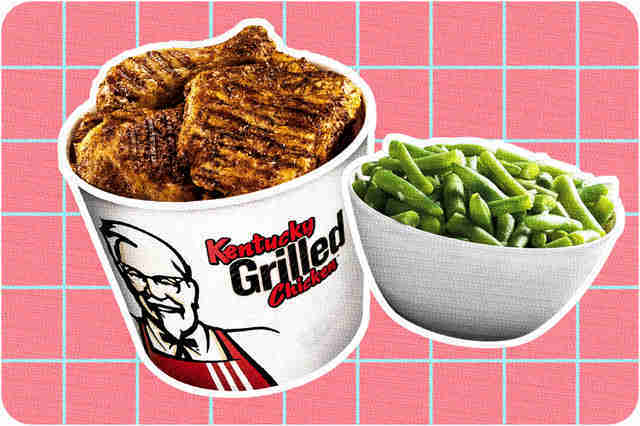 A single Kentucky grilled chicken breast offers more protein and less fat than any combination of two other pieces of grilled chicken from KFC. Pair your chicken with a serving of green beans, and your total meal is still less than 250 calories. 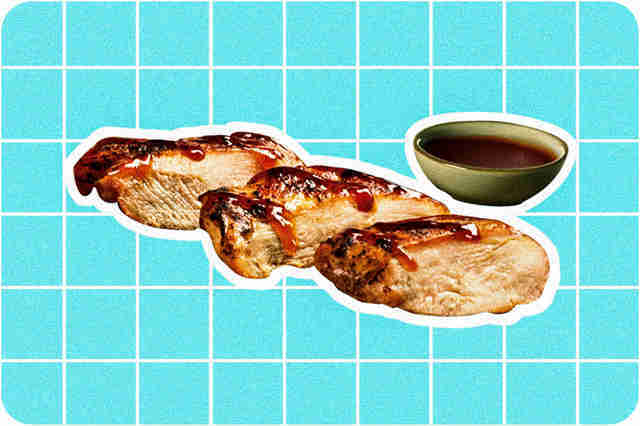 If you’re still hungry, throw in a side salad with light dressing or a grilled drumstick if you’re craving a little more meat. Either option adds less than 90 calories and 4 grams of fat. 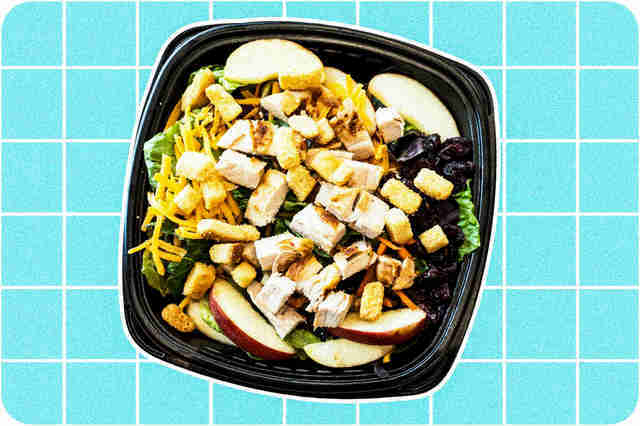 Wendy’s has a pretty nice assortment of salads, and the half-size of their Harvest chicken salad makes the perfect mid-day meal when paired with a small cup of chili. If you’ve never tried it, it’s time -- it’s surprisingly good. Together you’re looking at just 480 calories with 36 grams of protein and 7 grams of fiber. 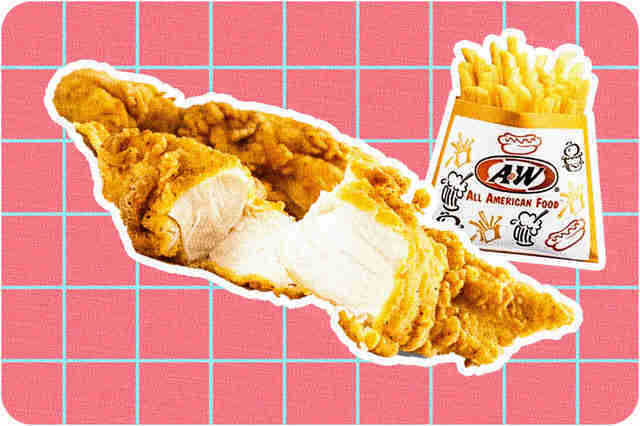 It’s slim-pickings for healthy fare on the A&W menu, but at least the hand-breaded chicken tenders clock in at less than 300 calories and 10 grams of fat. 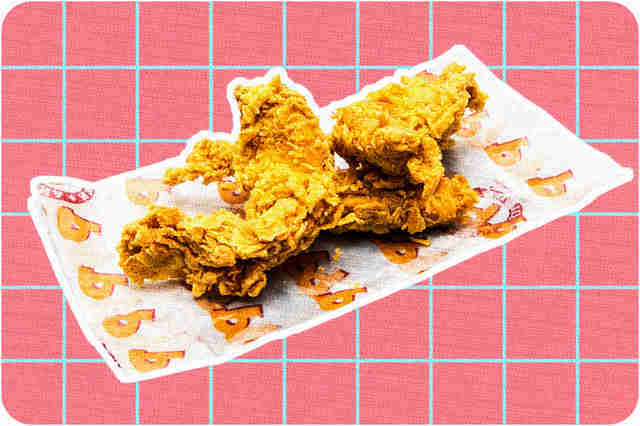 Just don’t confuse them with the three-piece chicken strips, which feature almost double the calories, triple the fat, and 12 less grams of protein. 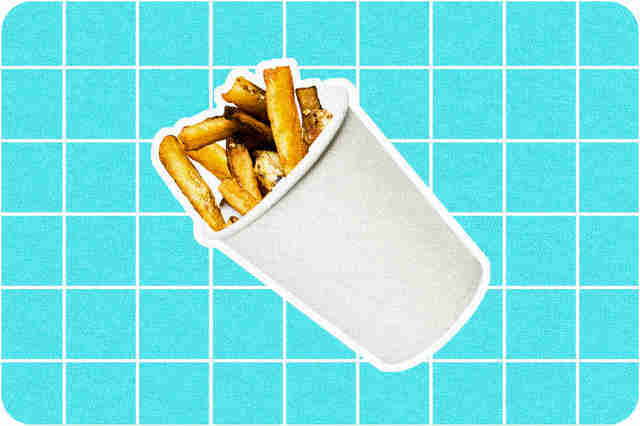 Add an order of small fries to your meal to round it out, and you’re still consuming less than 500 calories. The Grilled Chicken BLT Salad is probably your best bet when you swing by Dairy Queen. And given Dairy Queen’s limited options for sides, a kids’ size fries serves as a “splurge” that will help satiate your fast food cravings. Together, the two items add up to only 450 calories, although that doesn’t include salad dressing. Unfortunately, Dairy Queen doesn’t provide that information online, so plan on choosing one of their “light” dressings to keep any additional damage in check. Chick-fil-A is one of the best fast-food joints to visit if you’re looking for reasonably healthy fare (unless it's Sunday). The eight-count grilled chicken nuggets is a large enough serving (with enough protein) to help keep you full, and the superfood side salad featuring kale, broccolini, dried cherries, and nuts, is legitimately chock-full of vitamins and minerals. According to Fast Food Nutrition, a single serving offers 45% and 80% of your daily vitamin A and vitamin C needs, respectively. If your doctor asked you to steer clear of the saturated fat, you’re in luck! This Popeyes combo of blackened (i.e. grilled) chicken tenders and green beans is completely free of the stuff. 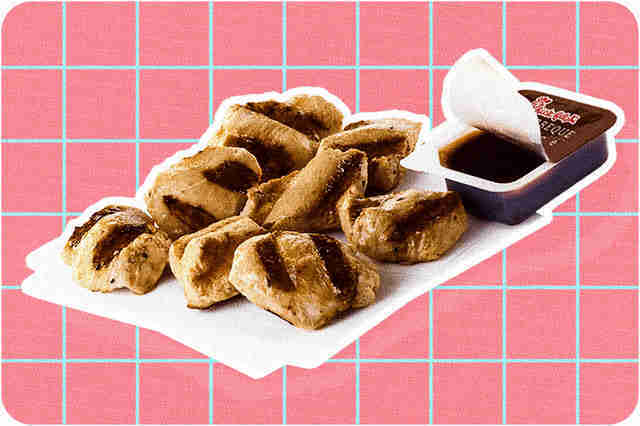 And if the total calorie content of about 225 calories just isn’t enough to keep you full, go ahead and splurge on the five-piece blackened chicken tenders -- the two extra pieces of chicken increases the total calorie content of your meal to just 333 calories. 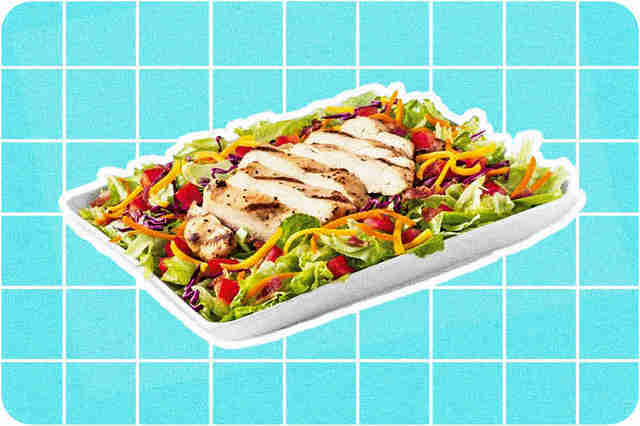 A decent-sized grilled chicken salad at Jack in the Box is pretty much your healthiest bet, especially considering its 5 grams of fiber and 31 grams of protein. 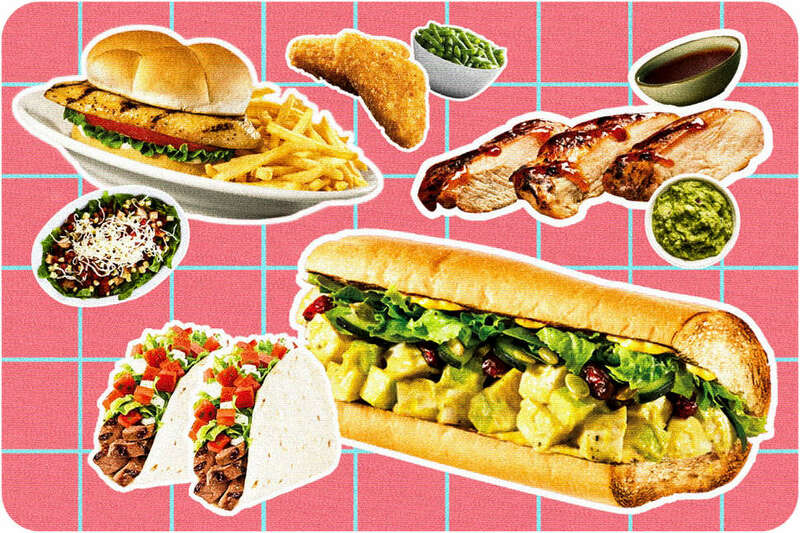 And while a single egg roll isn’t the healthiest option on the planet, it’s not the worst, either, and who doesn’t feel satisfied after chowing down on an egg roll? Look no further than a nice soup-and-salad combo the next time you head to Culver’s. Between the chicken salad and chicken noodle soup, you’ll amass a whopping 51 grams of protein, but only intake about 515 total calories. Not too bad! Five Guys makes it especially hard to track down detailed information about their nutritional content, and that’s probably for a reason -- it’s really hard to find anything reasonably healthy on their menu. Even a plain veggie sandwich, without cheese or mayo, is 440 calories, thanks to the whopping 280 calories and 9 grams of fat in the bun alone. Then you add the “little” fry. Together, you’re looking at a meal of almost 1,000 calories and 38 grams of fat. 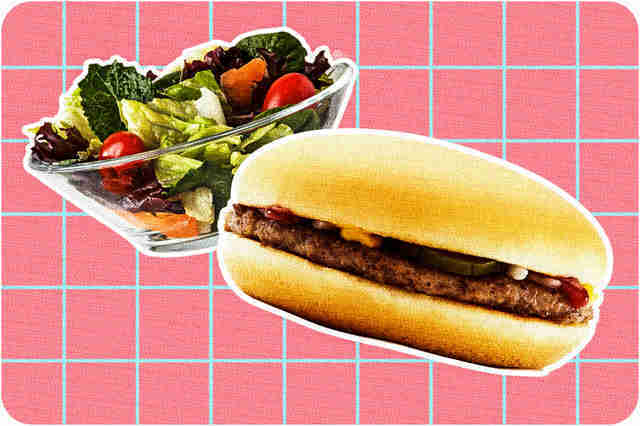 There’s not much to McDonald’s classic hamburger -- just a burger patty, bun, and a few condiments, but without all the “extras” (like sugary sauces and saturated fat-laden cheeses), you get by with a pretty low-calorie meal when combining it with a simple side salad. At just 300 calories, it’s almost guaranteed to fit into a calorie-controlled eating plan. When you’re looking to keep your meal extra-lean, look no further than Subway’s Veggie Delite salad and chicken noodle soup combo. 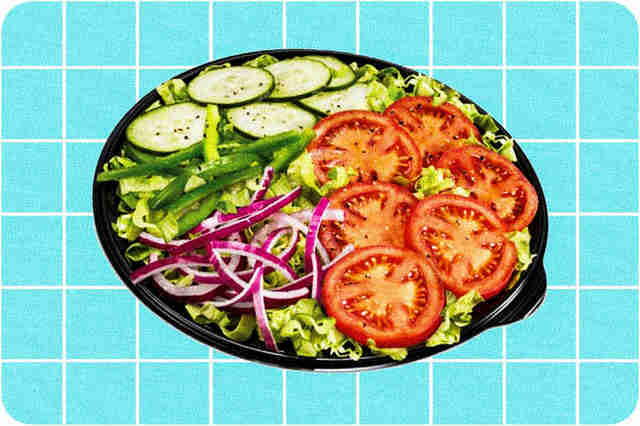 Typically I’d suggest adding a protein to your salad, but Subway’s salads are pretty generous, so you can pile on the veggies to fill yourself up. Plus, you’ll get a little extra protein from your soup. Just remember, the calorie and fat estimates for the salad don’t account for heavy dressings, so opt for vinegar and oil or a light vinaigrette when asking for your sauce. 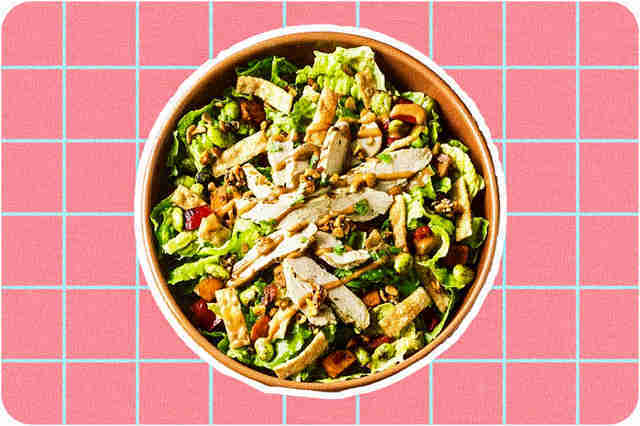 Panera has a lot to choose from when it comes to healthy, nutrient-dense options, so you might as well spread the love around a bit. Order from their “Pick 2” menu and get a half-serving of the Spicy Thai Salad with Chicken and a half turkey sandwich. Together you’ll enjoy two tasty menu items that deliver 37 grams of protein and 7 grams of fiber for just over 500 calories. Once again, a “regular” order of French fries pushes an otherwise OK meal into an excess of calories and fat because apparently “one size fits all” when it comes to serving size. My best advice? Hit up Shake Shack with a friend and split an order of fries. That’d keep your total calorie intake to under 600 calories, with a fat intake around 23 grams. Not great, but it could be worse. 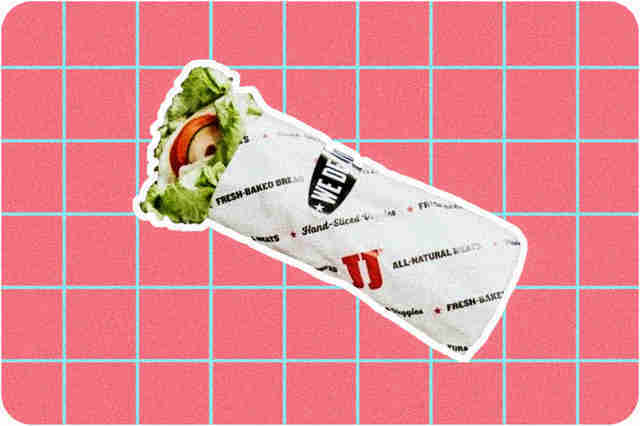 The Club Lulu Unwich from Jimmy John’s is the sandwich shop’s #16 wrapped in lettuce instead of bread. What you get is turkey, bacon, lettuce, tomato and mayo all wrapped in a lettuce leaf. Just remember as you customize your sandwich, avoid additional fat-filled dressings (you’re already getting mayo!) and stick to adding on veggies for extra flavor. Paired with the restaurant’s signature Thinny Chips, you’ll have a full meal for about 450 calories and 23 grams of protein. If you still want a little more, go ahead and add a jumbo kosher dill pickle, it’ll set you back just 20 calories, and it adds 4 grams of fiber to your lunch. 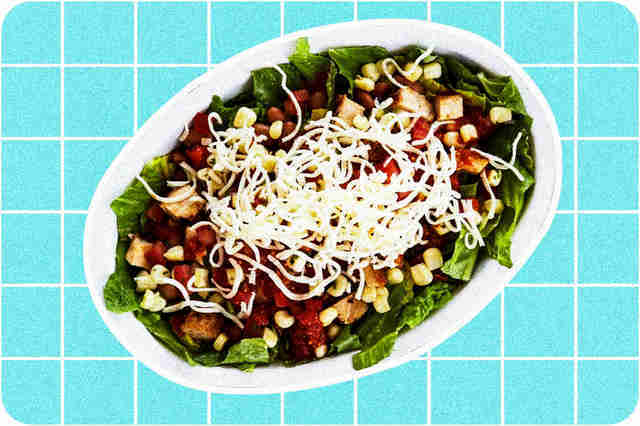 With all of Chipotle’s delicious options, it’s easy for a “healthy” meal to get out of hand. Your best bet is to stick with the basics -- a chicken salad featuring black beans, fajita vegetables, and extra salsa (try two or three different kinds). Then, go ahead and splurge on a side of guacamole. Yes, it’s got 22 grams of fat, but they’re almost all the healthy kind, and if you mix the guac with the salsa on top of your salad, you won’t need to add dressing of any kind. All-in-all, you’re looking at 640 calories, 17 grams fiber (more than half your daily recommended value), and 44 grams protein. It’s a meal that’s practically guaranteed to keep you full. To be fair, you were probably hoping to be able to order a donut from Dunkin’ Donuts, but it should come as no surprise that, as a general rule, donuts are pretty devoid of nutritional value. 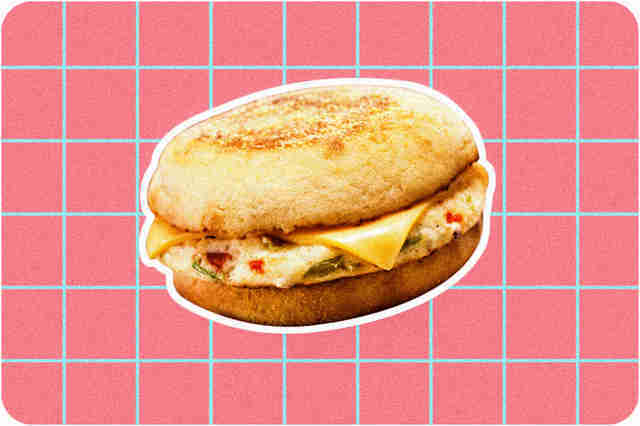 Instead, grab the Veggie Egg White Sandwich, which offers 14 grams of protein and a touch of fiber, and pair it with a side of hash browns. This isn’t the “winningest” meal on the list, but it’s not too shabby for a quick breakfast. Just remember not to undo all your wise choices by ordering a sugar-filled coffee. Stick with black coffee with a splash of milk to keep your morning meal in check. 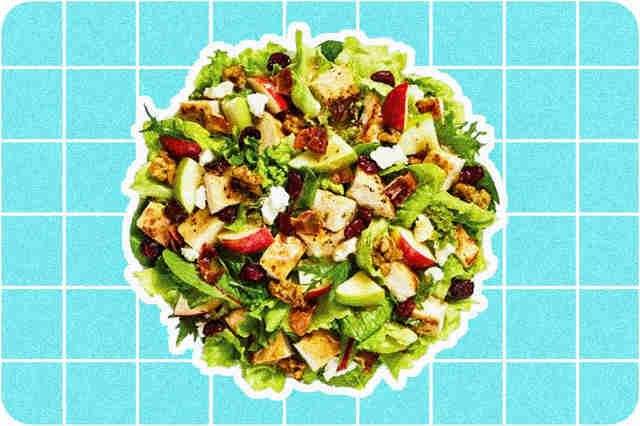 There’s a lower-calorie version of this same apple and cranberry salad, but it doesn’t come with chicken, so it’s lacking about 24 grams of protein, which plays a significant role in keeping you full. That’s why the chicken version of the salad is your best choice. Granted, the small French fry sets you back a bit in the meal’s calorie count, but at least you’re accumulating 11 grams of fiber in the process -- that’s almost half the recommended daily value. 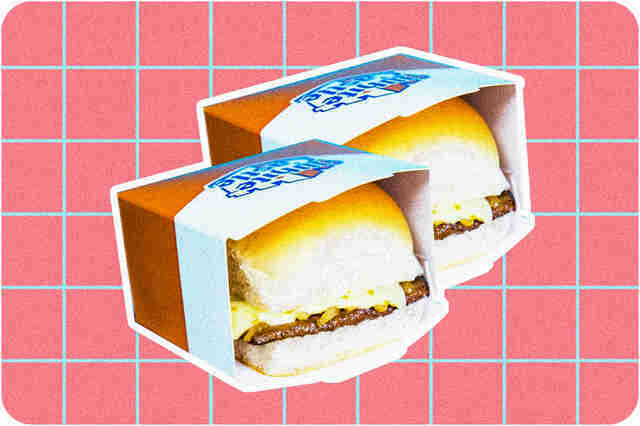 White Castle is another one of those fast food joints that doesn’t worry about catering to the health-conscious crowd. There’s just not much to choose from, so stick with two original sliders and a small order of clam strips. At least you’ll keep the damage under 500 calories. 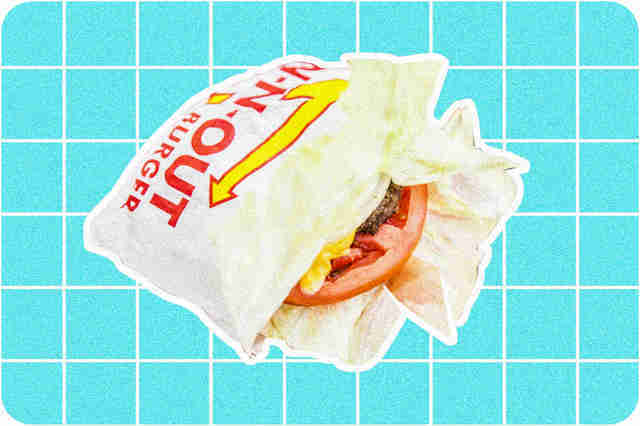 Frankly, if you want to eat healthy, In-N-Out isn’t your best choice. While the protein-style hamburger featuring a lettuce wrap in place of a bun isn’t a terrible option (although its fat content is a lot higher than McDonald’s basic burger), the chain only offers French fries as a side, and they only come in one size -- high-calorie and fatty. They turn a pretty reasonable entree into a meal that racks up more than 600 calories and 35 grams of fat. Laura Williams is a fitness writer and college professor who almost never eats fast food... but when she does, it’s almost always gloriously bad for her. Catch up with her on Twitter @LWilliams_EXSS.